There are several companies offering vacation rentals along the Gulf Coast of Florida. So why should you choose Bay Pointe Vacation Rentals? We are a well-established company run by seasoned professionals for whom vacation rentals is in their blood! 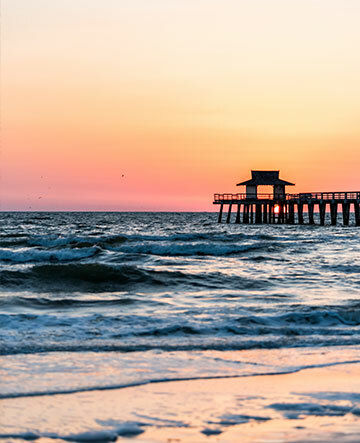 Our outstanding portfolio of high quality properties can be found in the sought after areas of Bonita Beach, Bonita Springs, Estero, Fort Myers, Fort Myers Beach (Mid, North and South islands) and Naples. Whether you are seeking a 1 bedroom condominium that sleeps up to 4 people in comfort and style or an exquisite 5 bedroom, 5 bathroom residence located directly on soft white sand, Bay Pointe Vacation Rentals is sure to have the right property to meet your specific needs along with your chosen budget. Our dedicated property managers are on hand 24/7 to deal with any eventuality that may arise, assuring you of a trouble free vacation in true luxury and style. Our exceptional quality standards is just one of the reasons why we have so many clients who return to stay in our properties year after year. If you are looking for a property that is supported by one of the largest property management companies on this outstanding coast line, look no further than Bay Pointe. Yet if you are looking for that personal attention that large companies are often hard pressed to provide, you can select Bay Pointe in the knowledge that our unique structure assures you of that personal attention to detail every step of the way. Why stay in a vacation home instead of a hotel or resort?